The civil landscape is an abstract idea that we make real each day. It is where we celebrate and commemorate. It is where rules and laws impact individuals and communities and where we collectively respond. In the best case the civil landscape allows everyone to live fully and to freely use public space to meet their needs. In the worst it is a space of pain and trauma, holding memories of past abuses and violence against communities, both human and non-human. As we enter the Anthropocene, a time where human actions cause geologic outcomes and are rapidly reshaping the earth’s surface, the civil landscape is the place where we as individuals and designers can most impact this new epoch for the advancement of human kind. It is the space of everyday life that can mitigate between our personal spatial needs, opportunity provided in places of community, and development in the built environment. Our approach to the civil landscape can lead to many outcomes, differing with the constituents engaged and the values that are brought to a project. What is civil in one neighborhood, is not in another. The landscape of one place is distinct from the next. To ensure that we consider the consequences of design and development on our cities, both intentional and unintentional, everything must be considered in its unique context. Where we must dedicate our energies is on how the decisions that shapes these spaces are made. Whose values are centered, what aesthetics are primary, and what metrics are the final product judged against? These questions are important for every project in the built environment from small private buildings, where the answers are more evident, to individual parks and public spaces where local constituencies shape outcomes. However, it is in the large urban projects that help to shape and redefine our cities that these questions must be central from initial development through to evaluation of the projects impacts. 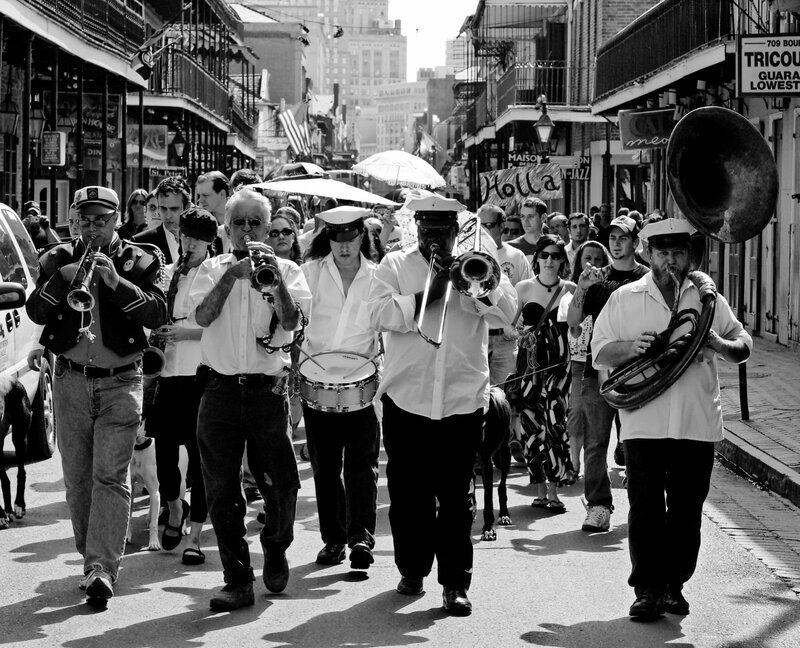 In New Orleans, these systems of historic inequity and shifting climate are at play and a diverse set of plans and project are aimed at addressing these pressing issues. 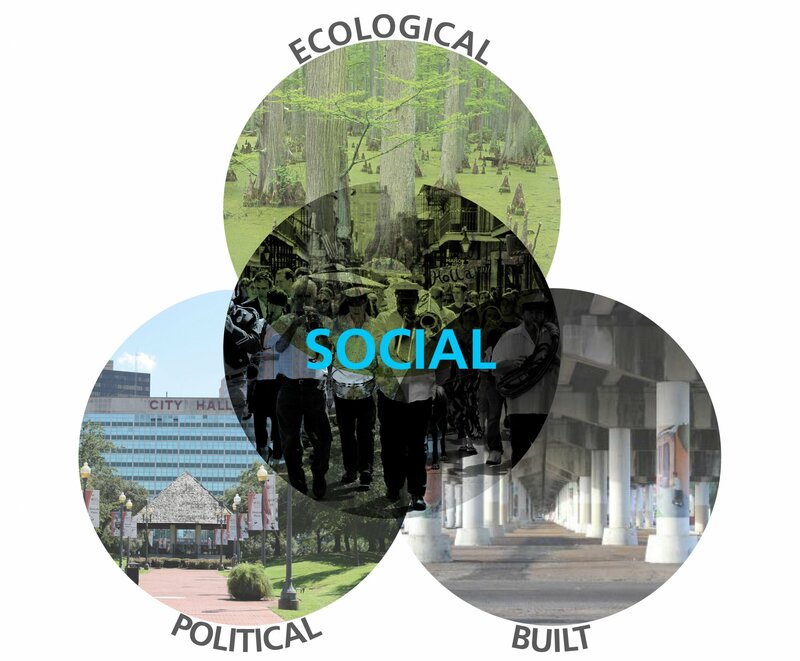 Large scale changes to one of these systems impact each of the others and understanding how the built environment impacts social and economic systems is vital. Building a more resilient city and reducing the risk of flooding can have dramatic impacts on economic development processes, inducing new investment in areas previously deemed too great a risk. 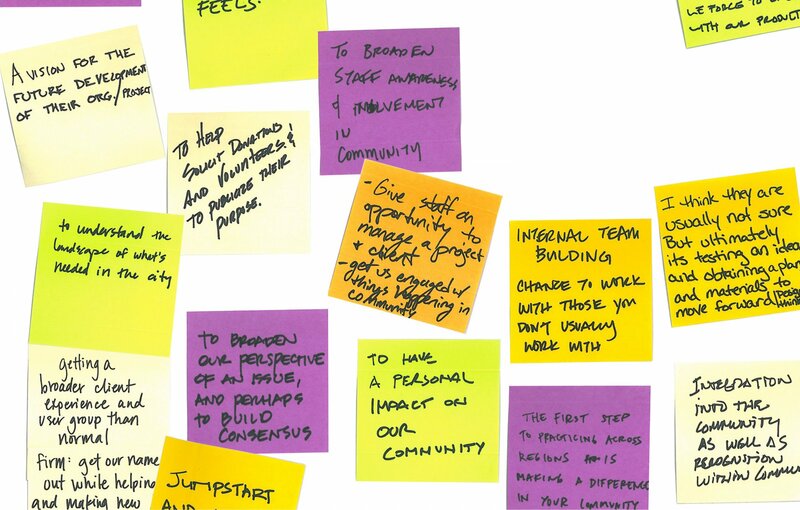 Equitable development practices and broad efforts that couple resilience, housing, job creation, and investment must allow existing communities to choose to be a part of these processes. This year's Fellowship simultaneously expanded our understanding of Green Infrastructure. Green infrastructure is based on the recognition that building, site, landscape and street can all work together in an integrated way to handle the flows of water in our projects in ways that are better for the building, better for the occupants, better for the city, and better for the environment. 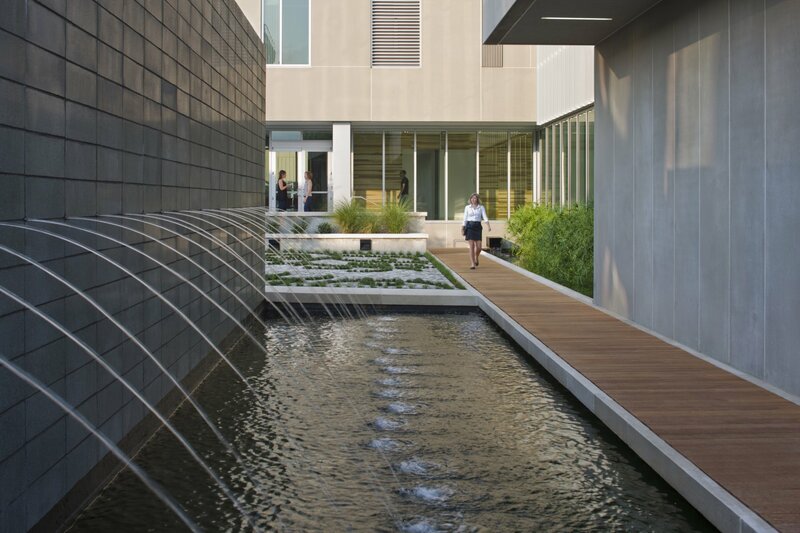 While projects at Eskew+Dumez+Ripple had frequently involved the integration of landscape and water with buildings for their aesthetic benefit as well as their power to connect people to place, the experiences of Katrina forced us to re-examine the opportunities of building, landscape, hardscape, and water to work together.